2,500 dedicated parking spaces in three garages on its campus. 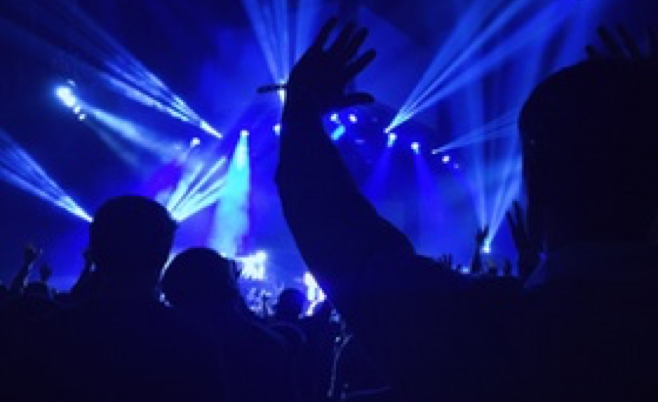 To accommodate all of our guests, we offer parking options for events at our facility, as well as monthly parking passes for downtown workers and rates for RV parking and University of Tennessee football game attendees. 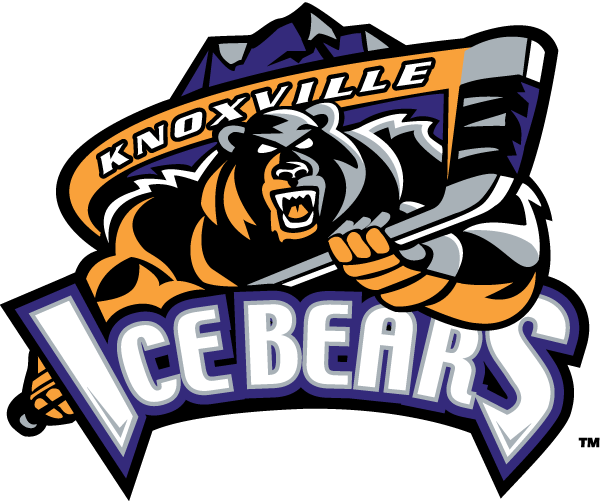 Parking for our events is $5 per space for Ice Bears hockey games and Knoxville Symphony Orchestra concerts. 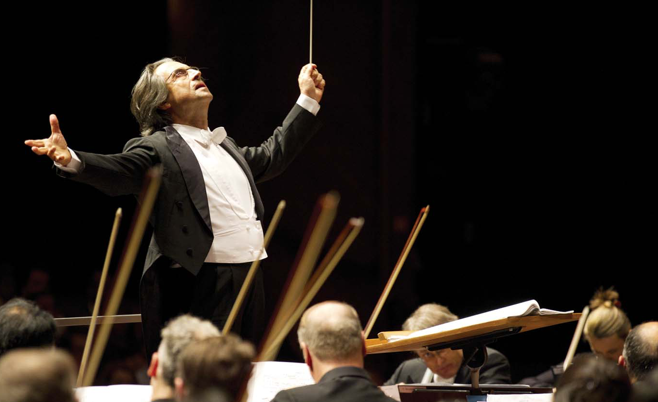 All other concerts and special events are $10 per space. Please be prepared to pay in cash to the parking attendants on the day of the event. RV Parking is available year around on top of Garage C. Full Hook-ups (Water, Sewer, and 50 Amp Electric) is $65 per night. Non-Hook ups is $35 per night. Rates could vary on special events going on in the city. For UT Football games please refer to the UT Football Game Day Parking Section. From December through April Water and Sewer could be turned off do to the temperatures outside. For more information, call 865-215-8900. For downtown commuters, we offer daily and monthly parking options. Monthly parking is $15 per month; daily parking is $5 a day. For more information, call 865-215-8900. On game days, our parking garages offer convenient, affordable event parking. 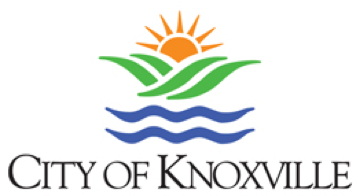 For an additional $10, City of Knoxville shuttles will provide a round trip between the front of our garage and Gate 21 of Neyland Stadium. CARS AND TRUCKS RV AND BUS SEASON PASSES For more information, call 865-215-8900. For RV parking rules and regulations, click here. 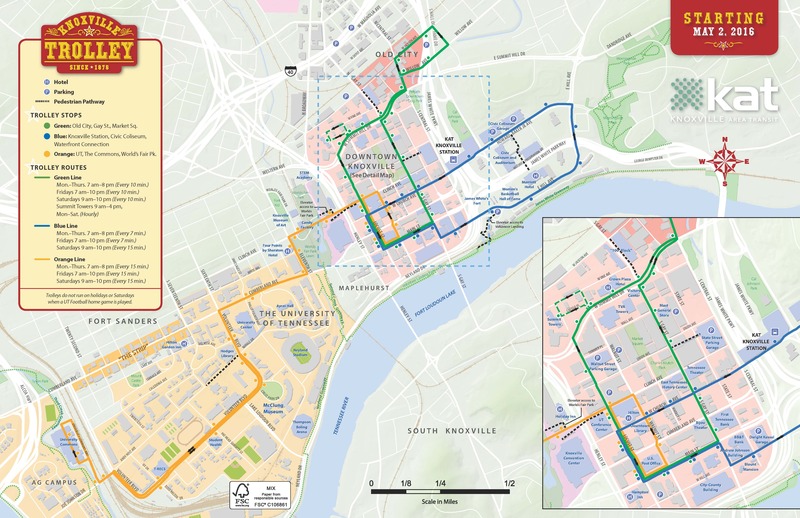 Knoxville Area Transit offers FREE downtown trolley rides that pick up in front of our parking garage and run three routes throughout downtown and the University of Tennessee. Green Line: Runs Monday-Thursday, 7 a.m.-8 p.m.; Friday, 7 a.m.-10 p.m.; Saturday, 9 a.m.-10 p.m. (Every 10 minutes) Blue Line: Runs Monday-Thursday, 7 a.m.-8 p.m.; Friday, 7 a.m.-10 p.m. (Every 7 minutes); and Saturday, 9 a.m.-10 p.m. (Every 15 minutes) Orange Line: Runs Monday-Thursday, 7 a.m.-8 p.m. Thursday, 7 a.m.-8 p.m.; Friday, 7 a.m.-10 p.m.; Saturday, 9 a.m.-10 p.m. (Every 15 minutes) On nights and weekends, all City of Knoxville downtown Knoxville garages are free. View downtown Knoxville parking options at www.parkdowntownknoxville.com.